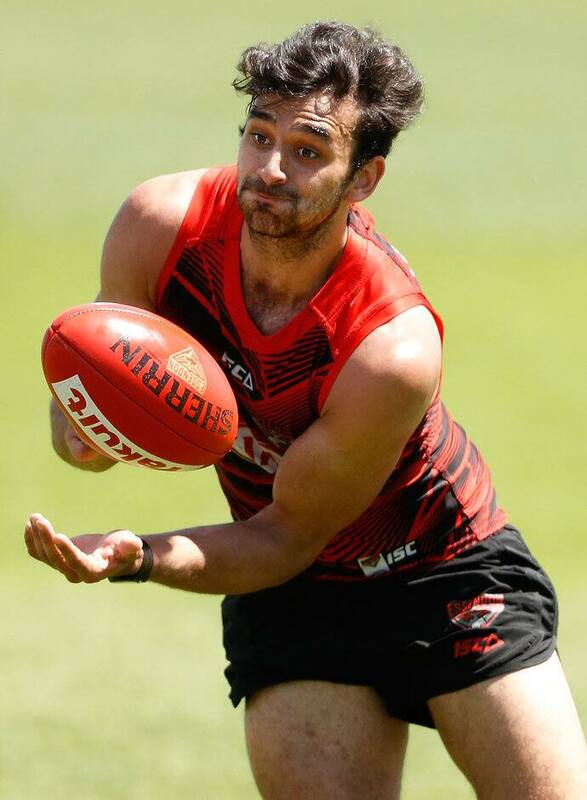 ESSENDON'S logjam at half-back was what instigated untried speedster Alex Morgan's decision to leave the Bombers and take up North Melbourne's contract offer. The 21-year-old is the no-name mover in this year's player movement period, having failed to play a match for Essendon in two seasons since being the No.29 NAB AFL Draft pick in 2015. But Morgan also has the ability to be a major bargain for the Roos, saying he rediscovered his belief in the latter stages of this year after hamstring issues ruined his 2016 campaign. "It's been a weird two years, to be honest," the former Oakleigh Charger told RSN927. "My first year was hampered by injuries, then my second year I probably just struggled with form and consistency, but I reckon towards the back half of this year especially, I think I showed a lot of confidence and a lot of attributes and traits as to why I was drafted. "So that gives me a lot of confidence going into this year, and getting to know the boys once pre-season starts back (on November 13) will be a real key in getting to where I want to go as a player." The Bombers' gilt-edged recruiting spree in the Trade Period saw them net Jake Stringer, Devon Smith and Adam Saad as they prepare to go from finalists to contenders next year. But Saad's arrival, in particular, forced Morgan's hand after already struggling to leapfrog the likes of NAB AFL Rising Star winner Andy McGrath, Conor McKenna and Martin Gleeson this past season. The former Gold Coast dasher boasts similar qualities and plays the same half-back role as Morgan. "I had to weigh up where I was at after two seasons without playing a game and probably felt that maybe North Melbourne was a better fit in a way," Morgan said. "At Essendon, you make a lot of friends and stuff like that, but … I sat down with Brad Scott and my management and the recruiting team and they kind of outlined where they were at as a club. "It made sense to me that (at) a young developing club like North Melbourne, there might be a bit more opportunity there, so I had to jump at it with both hands." Morgan joined the Roos after their young players departed for their traditional high-altitude training camp in Utah, but he has already trained with some of the club's older footballers. "I still need to prove a lot to my new teammates, because obviously two years with no games doesn't look great," he said. "So I need to go in there with a good attitude and start trying to train the house down and start earning the respect of my teammates and the coaches around me."